Your dream wedding at our new Over-The-Water Serenity Wedding Chapel will surpass your expectations. This unique and picturesque venue features stunning 360-degree, panoramic views of the Caribbean Sea and a glass floor aisle, so you can truly be walking on water on your special day. 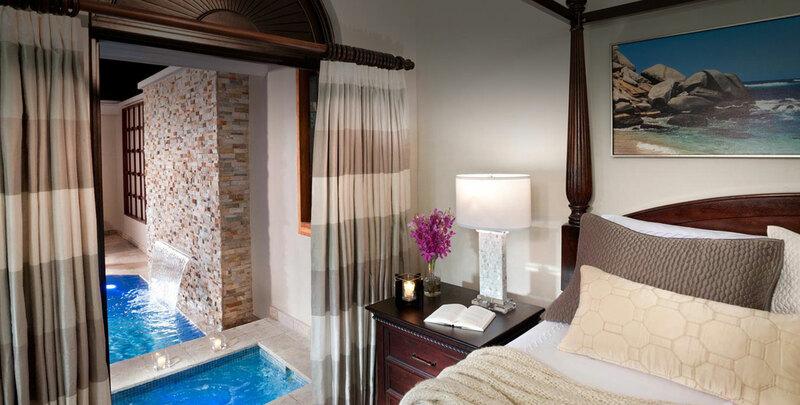 The Butler Village at Sandals Ochi is the ultimate in secluded luxury. Villas with 98 private pools line the hillside, each with the services of a personal butler. Or stroll over to the plantation-style Great House, where two pools and five restaurants provide the opportunity for relaxation, camaraderie and delicious dining. Set off on a culinary journey at Sandals Ochi, where 16 world-class restaurants feature savory dishes from as far away as the Orient to local Caribbean favorites. With impeccable service, uniquely romantic locations, and a 5-star team of international chefs, it’s no wonder we’re the #1 All-Inclusive Dining Experience in the Caribbean. We have designed our bars exactly where they should be – right on the beach and directly over the ocean – to give you a truly authentic island experience. We’ve even created bars inside of our beachfront pools. White-sand beaches and Caribbean rum concoctions are the inspiration for high-spirited gatherings, so take a seat and let the party begin. Grown in Jamaica's misty Blue Mountain range, Jamaica Blue Mountain's coffee possesses an unmatched superior flavor and it's included throughout all our specialty restaurants, French-style cafés, Club Sandals Lounges, self–serve coffee stations, and indulging room service. From chic gatherings to exciting shows, no one throws a party like Sandals because here, every night is a celebration. The Rabbit Hole is the rebirth of a 1920's Speakeasy where guests must knock three times and mutter a secret password to enter. A place made for conversation, jazz, classic cocktails and no house rules except one–have fun. Come as you are, the night is young! Tennis, day and night, on lighted courts surrounded by fragrant tropical flowers and cool breezes that flow through towering trees. Tee off at nearby Sandals Golf & Country Club’s 18-hole course. Plus, our multi-million dollar fitness centers are equipped with state-of-the-art Life Fitness® equipment and certified instructors. Here's the formula for the perfect Caribbean vacation: One hundred pools = one thousand pleasures. If poolside relaxation suits your mood, you've found your resort. When you tie the knot at Sandals, you get a Free Wedding. Our Free Wedding has everything you need to celebrate your special day with elegance and simplicity. It’s the perfect start to the perfect marriage. And after you’ve exchanged your vows, you can begin your happily-ever-after with endless ways to enjoy your time together at the resorts made for love. Sandals Ochi is the ultimate in secluded luxury with hillside villas featuring private pools and Butler Elite service. With 16 extraordinary restaurants offering tantalizing temptations, deciding on dinner just might be the most difficult part of your day. Impeccable service, mouthwatering international cuisine, and a romantic atmosphere make every dining experience feel like a vacation. Choose the energy of the Caribbean Riviera & Ochi Beach Club overlooking half a mile of white-sand beach, or the privacy of the secluded Butler Villas & Great House on the hillside above. Whatever your choice, love is truly all you need. 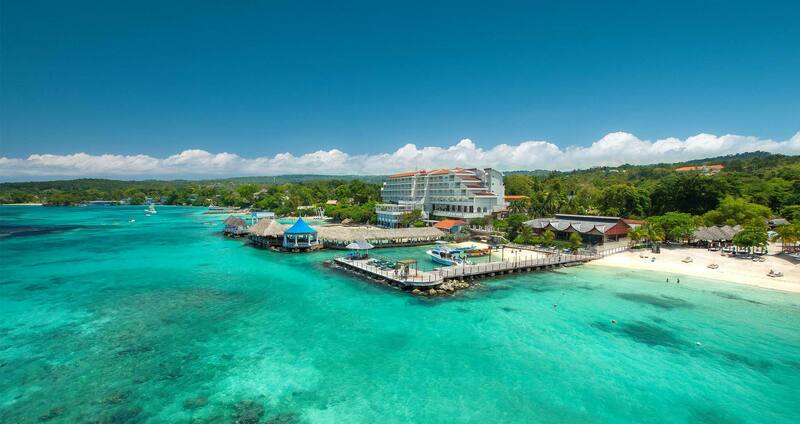 You're a member of the club, recognized as one of the finest in Jamaica by Golf Digest and Frommers Travel Guide. Give yourself the perfect golf vacation, with rolling fairways lined by sweeping views of the sea and mountains. Book a Sandals Ochi vacation of 6-PAID nights or more and get a 30-Min Couples Massage at the award winning Red Lane® Spa. Offer valid only at Sandals Ochi. Offer valid for bookings made by Jun. 14, 2019. Booking requires a minimum stay of six (6) paid nights. The 30-Min Couples Massage and services must be booked and redeemed on resort during the applicable stay at a Red Lane Spa®. 30-Min Couples Massage is not redeemable for cash towards the balance of any bookings, cannot be used for any applicable tax, service charge, or gratuity and has no cash value, cannot be sold or exchanged, and is not redeemable for cash. In addition, this promotion is subject to the conditions set out by our Standard Disclaimers.